AWESOME 94 CORVETTE!! DON'T MISS OUT ON THIS AWESOME DEAL!! BEAUTIFUL VEHICLE INSIDE AND OUT!! MANY FEATURES INCLUDE, air conditioning, climate control, AM/FM stereo, CD player, special sound system, interval wipers, ABS, power drivers seat, power passenger seat, tilt steering wheel, driver air bag, passenger air bag, leather wrapped wheel, 6 speed manual, console, carpeting, bk/tan leather upholstery, lighted vanity mirrors, seats 2, targa top, and front arm rests! The 1994 Chevrolet Corvette saw nips and tucks here and there that continued to keep the car relevant for its buyers. There were a handful of thoughtful engine refinements, including a sequential fuel injection system that allowed the injectors to be coordinated with the firing order. Though the output of this engine remained at 300 horsepower, these refinements improved idling, emissions, and general drivability. For those who selected the 4-speed automatic, it now included electronic controls. This allowed the transmission to improve the quality and consistency of shifts. The 1994 automatic transmission also featured a lockout function, which required pressing the brake pedal to move from park. 1994 Corvette Convertibles added a glass rear window to replace the plastic rear window of previous models. The glass also featured a defroster element, making it more usable year-round. The 1994 Corvette received some cabin upgrades and changes as well, including the reduction of the “divider” on the right side of the center console. The doors featured cargo pockets and the side windows featured the “auto-down” one-touch function. 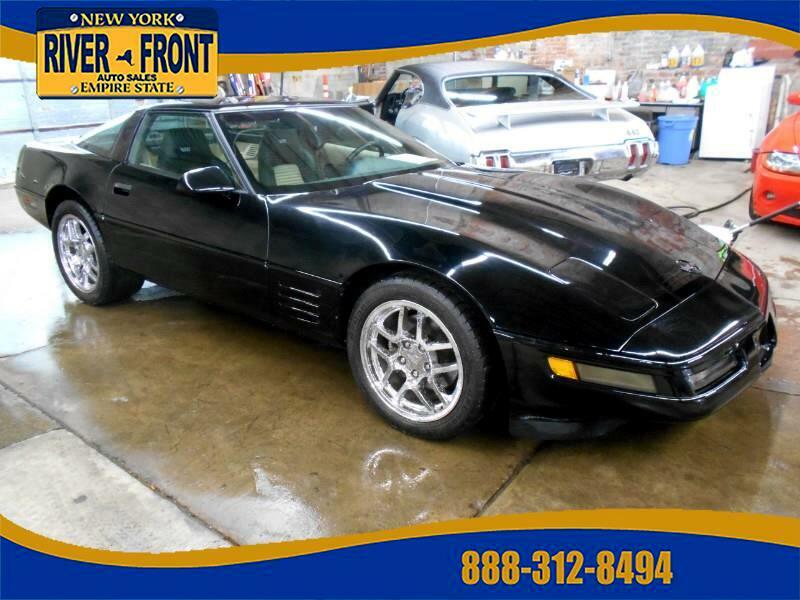 1994 also added a passenger’s side airbag, deleting the glovebox in the process and leaving ’94 Corvette buyers with only the console for storage. Leather seating was standard in every Chevy Corvette by 1994, with cloth seating no longer an option. Overall, 23,330 Chevrolet Corvettes were produced this year – just 448 of which were the ZR-1. In 1994, two new colors were added to the list: Copper Metallic and Admiral Blue. Only 116 Corvettes left the factory with the Copper Metallic paint.